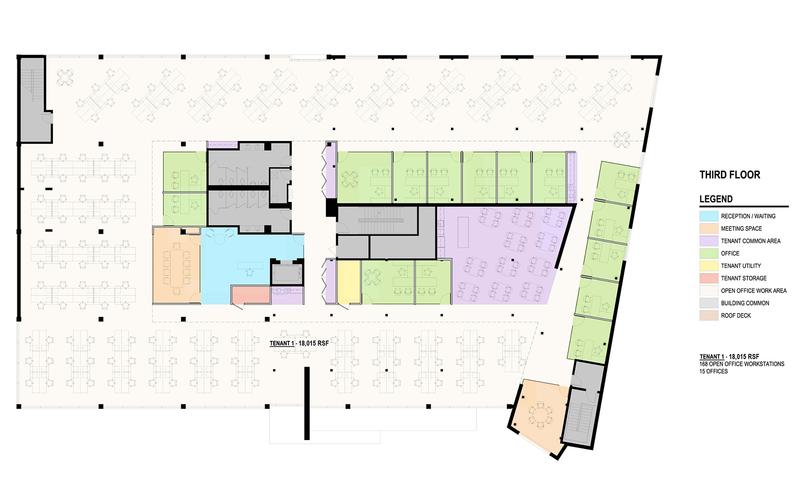 2017 N. Mendell, a newly-renovated 62,000 square foot loft building by Baker Development Corporation, is the first Class “A” Chicago office space/industrial building targeting entrepreneurs to emerge in the epicenter of the newly-branded Lincoln Yards neighborhood of Lincoln Park. 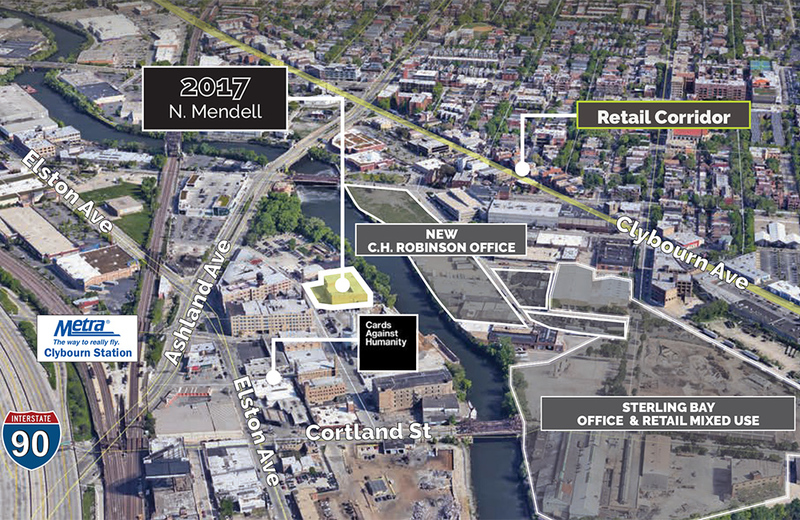 Situated along the Chicago River between Webster and Cortland in the North Branch Corridor in Chicago’s Lincoln Park neighborhood, 2017 N. Mendell has transformed this formerly ‘gritty’ industrial neighborhood into a new hub for Tech, Industry and Arts. Entrepreneurs Welcome – designed for the needs of Entrepreneur’s in mind, 2017 N. Mendell is the first completely renovated Class “A”, full-service, loft office/industrial building to emerge in the epicenter of the newly-branded Lincoln Yards neighborhood of Chicago. All New Building Systems – from electrical to elevator to the mechanical system, every system in the building is new as well as technically advanced. 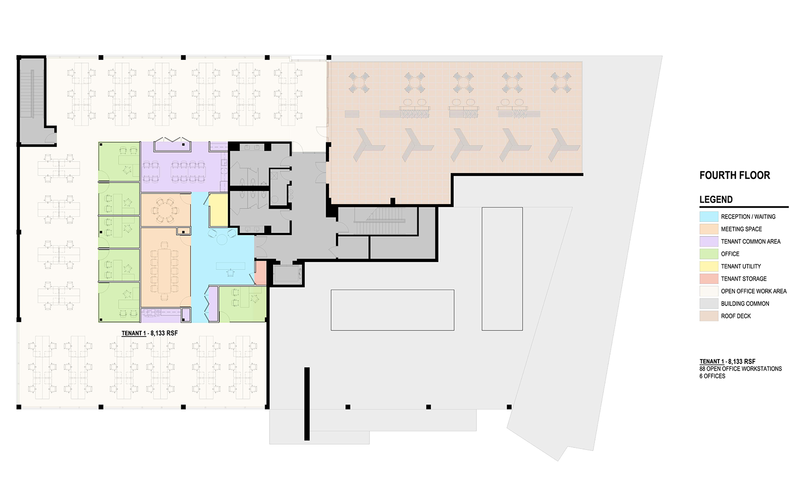 Flexible Spaces/Turnkey Design – we understand Entrepreneurs have better things to do with their time than design and construct their space. 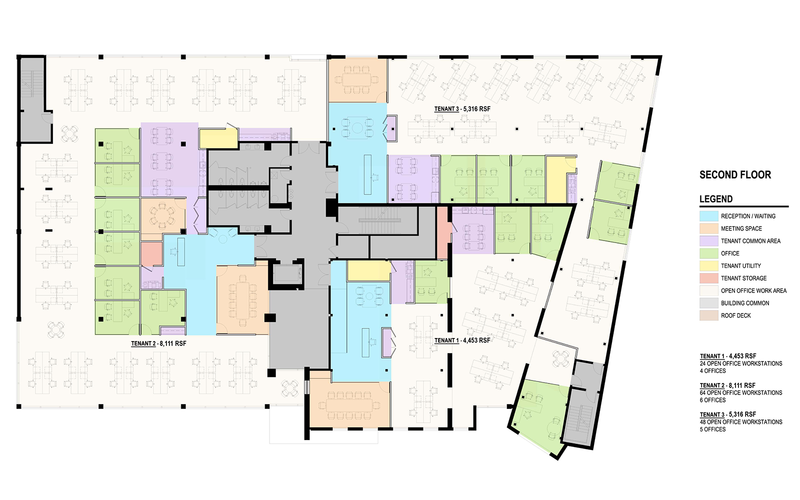 That’s why the Developer is constructing turnkey spaces ranging from 3,800 sf to 8,000 sf including full floors of 17,000 sf. Entrepreneurs will have an opportunity to customize their space by choosing partition style (glass and/or traditional walls), flooring and wall colors. Should you desire more input, we’ll work with you. Ceiling heights are as high as 13’8”. 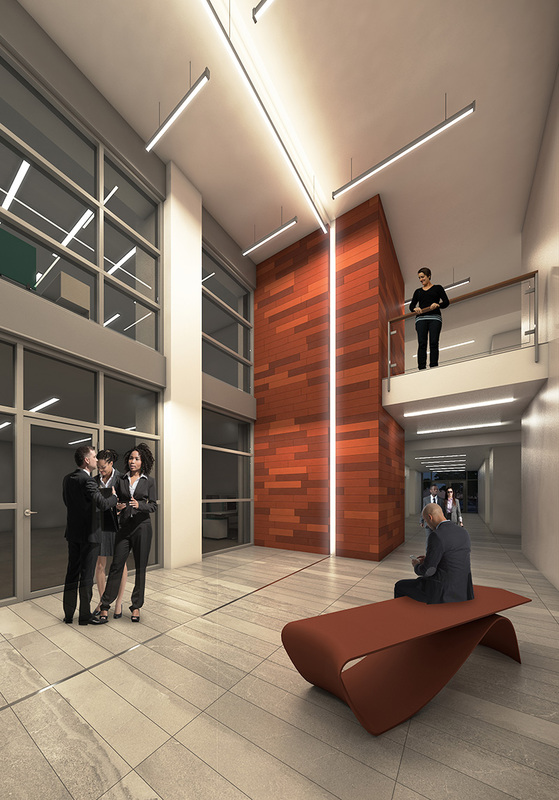 Common Areas - the dramatic 25’ high lobby will double as an art gallery featuring the works of renown Chicago artists. A rooftop lounge and deck space with spectacular views of the Chicago Skyline to break away, recharge and reflect. 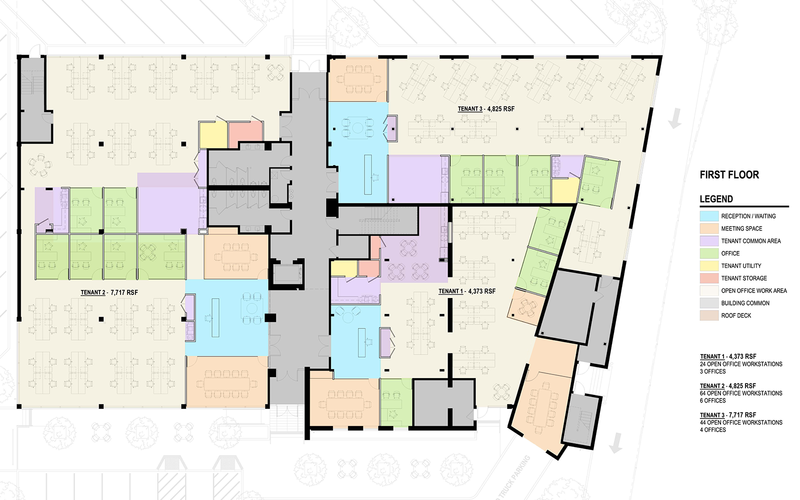 Indoor/outdoor bicycle parking plus 50 parking spaces are provided including 2 dedicated parking spaces for a variety of food trucks that will bring their food to the building daily. ENERGY EFFICIENT – programmable, electrochromic glass from View Dynamic Glass - glass that electronically tints to reduce UV exposure, heat, energy costs and eliminates the need and cost for window treatments is featured throughout. A high-efficiency heating and cooling system complements the high efficiency of the building and contribute to low operating costs. HEALTHY – an advanced photo-ionization and high MERV air filtration system to assure a clean-air working environment. QUIET – sound-rated windows to assure a quiet working environment. SAFE – redundant security systems throughout including fob entry keys. Access – situated just steps to the Clybourn Metra Station, the Kennedy Expressway at Armitage, the Elston Avenue bike trail and the 606 trail as well as the trendy neighborhoods of Bucktown, Logan Square and Wicker Park. Location - situated in Lincoln Park along the Chicago River between Webster and Cortland in the North Branch Corridor, the Developers of 2017 N. Mendell commissioned renown Chicago artists such as Hebru Brantley and Max Sansing to transform this formerly ‘gritty’ industrial neighborhood into a new hub for Tech, Industry and Art. Economic Benefits – Located in an Enterprise Zone, Tenants of this building can take advantage of tax incentives such as a $500 per employee State of Illinois tax credit for every job you bring to this building as well as a sales tax exemption for certain FF&E. In addition, a “7B” property tax incentive application,which reduces property tax assessment by 60% for 10 years, is pending. Timing – The first spaces will be delivered in the 2nd quarter of 2018. Marketing Team – for leasing information, please contact Brent Burden 847.826.7271 or Rob Thomas at 312.848.2030 from Jameson Realty. features intelligent windows that maximize natural light and unobstructed views while reducing heat and glare, through the use of automatically adjusted or user-specified tint levels. By letting in natural light and blocking unwanted solar heat, significantly reduces air conditioning and lighting costs, resulting in energy savings of up to 20%, especially during peak hours. Algorithms automatically adjust tint levels based on the building’s design, location, orientation, sun position and cloud cover. Interfaces with HVAC and lighting systems for superior comfort and climate control. Improved view and environment has accounted for an up to 15% increase in employee productivity. Dynamic View glass is featured in over 200 projects, worldwide. a sophisticated intelligence engine that adapts automatically to outdoor conditions and people’s preferences. between multiple tint states, where nano-layers of electrochromic coating on the surface of the glass respond to a tiny voltage, tinting the glass and putting you in control of your view. 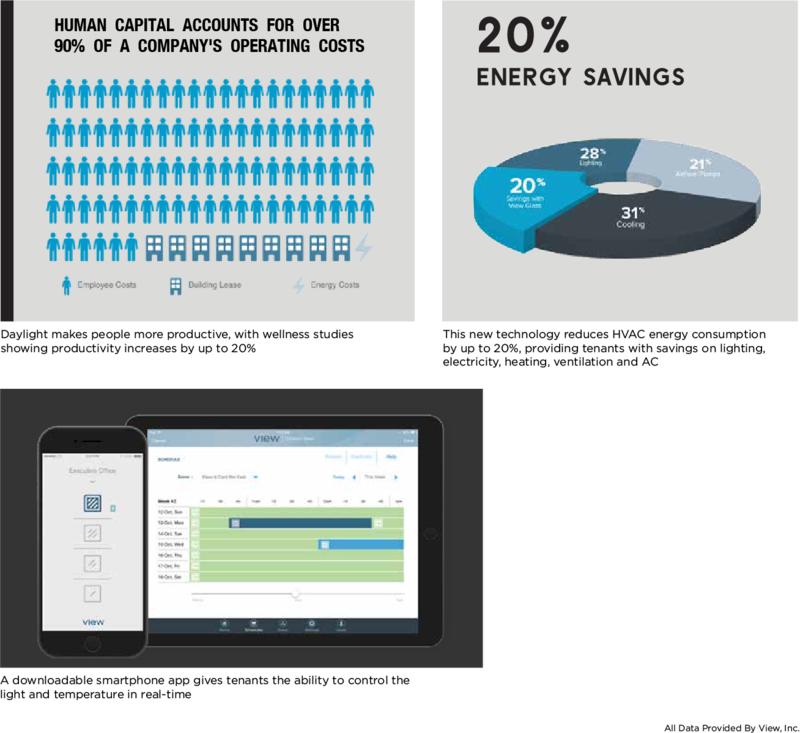 a mobile app that allows users to create schedules, track energy efficiency and manage the tint levels of America Center’s glasslines. unobstructed view at all times of day, unlike blinds or glare, allowing for a more comfortable environment. Overlooking the river in one of Chicago’s hottest new office & mixed use areas, 2017 North Mendell’s city skyline views and convenient proximity to Lincoln Park, Bucktown, Wicker Park and Logan Square make it an ideal location for attracting top talent. This prime location is one block to the Clybourn Metra Station and Kennedy Expressway. 2017 Mendell is located just blocks from the 606, a 2.7 mile trail through the heart of Chicago’s historic neighborhoods including Bucktown, Wicker Park, Lincoln Park and more. 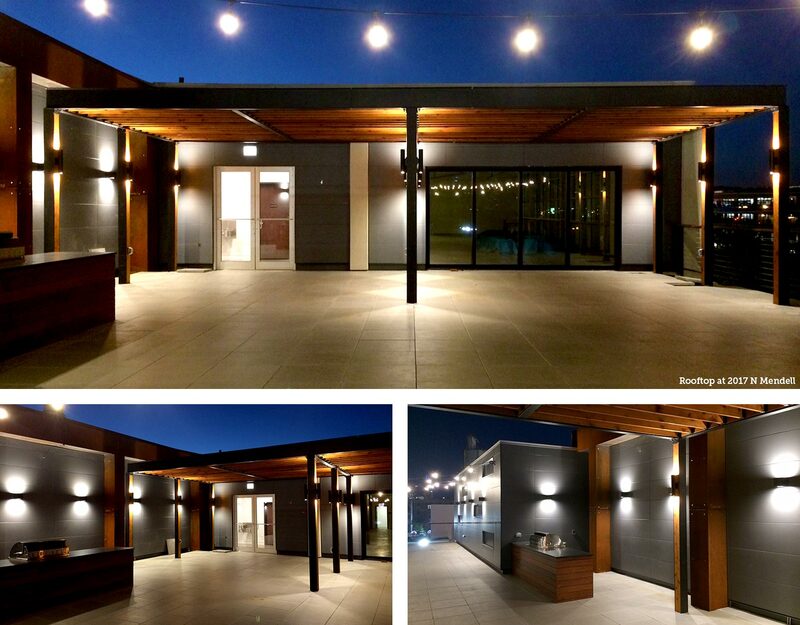 2017 North Mendell features: Rooftop deck with dramatic skyline views; High ceilings to promote maximum natural light; State-of-the-art new infrastructure; Prominent Lincoln Yards signage opportunity; Close proximity to the Clybourn Corridor. 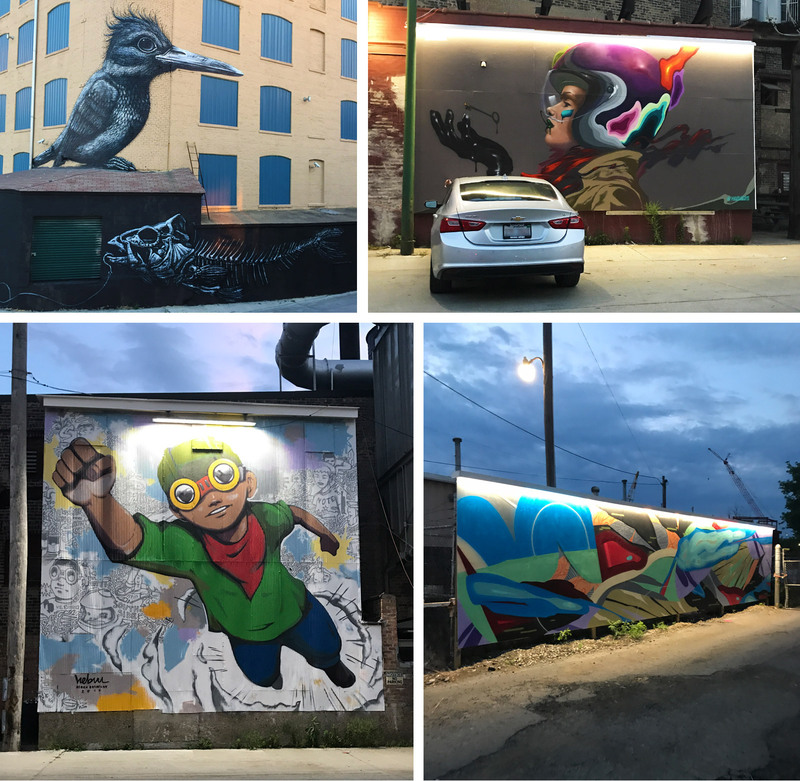 Baker Development commissioned Top Chicago and International street artists to invigorate and revitalize Mendell St. A previously blank canvas, it has since become one of the most desirable locations for street artists to express themselves. Artwork on site includes: Hebru Brantley, Max Sansing, ROA, Ruben Aguirre and Sick Fisher.